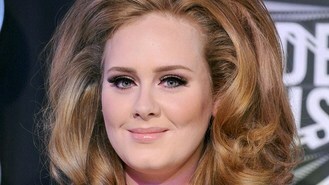 The Swedish pop group beat Adele's 21 to the top spot with sales of 4 million in the last 30 years, although the British golden girl is hot on their heels, having shifted 3.6 million copies of her second album 21 in less than two years, according to figures form the Official Chart Company. Oasis' (What's The Story) Morning Glory is third, followed closely by Amy Winehouse's Back To Black and James Blunt's debut album Back To Bedlam. Coldplay tie with Robbie Williams as the only artists to have three albums on the list. Coldplay's Rush of Blood To The head is placed 13, X&Y is at 19 and Parachutes is 21. Robbie's 1998 album I've Been Expecting You, his Greatest Hits and his swing collaboration Swing When You're winning take 25th, 26th, and 27th place, while Take That's Beautiful World, which doesn't feature Robbie, is 14th. Dido features twice with her debut No Angel at number six and Life For Rent in 11th place. Shania Twain's 1997 album Come On Over, featuring hit singles including From This Moment On and Man! I Feel Like a Woman! comes in at number seven, having already been named the best-selling female album of all time by Billboard. Fellow Canadian Michael Buble's second album, Crazy Love, released in 2009, is at 16. X Factor winner Leona Lewis' debut album Spirit makes the top 10 at number eight, followed by 90's favourites The Verve's Urban Hymns and David Gray's White Ladder. The Beatles's greatest hits album 1 only comes 12th, while global phenomenon Lady Gaga's debut album The Fame is number 22 out of 30.